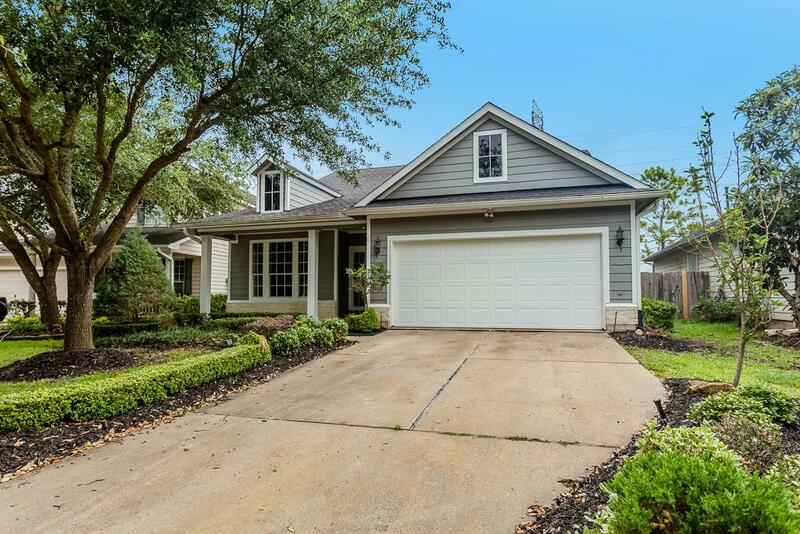 Welcome home to 4514 Sherwood Green Ct.
Another front view of this pretty home. 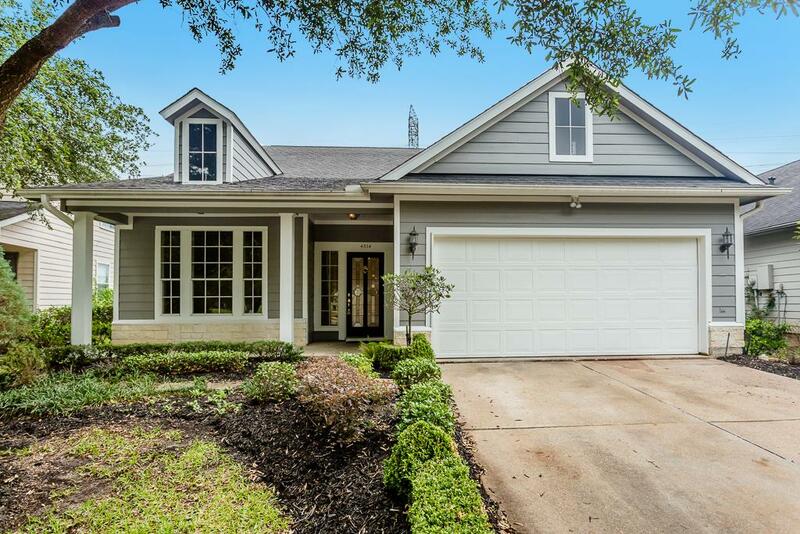 Note the inviting covered front porch. 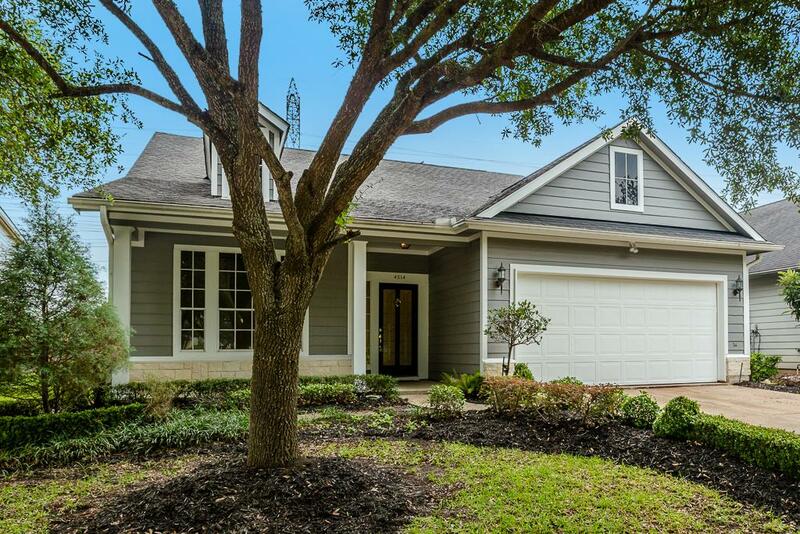 Pretty landscaping and tree accent this stunning home! 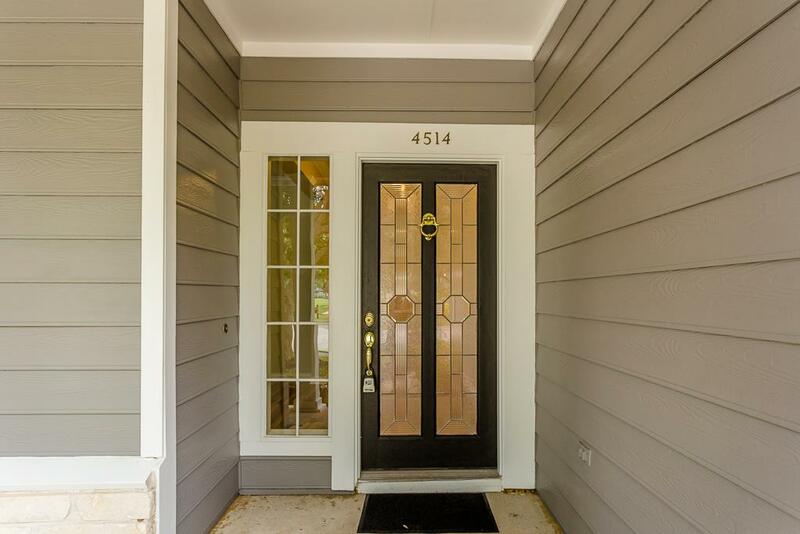 Home has all new exterior paint! 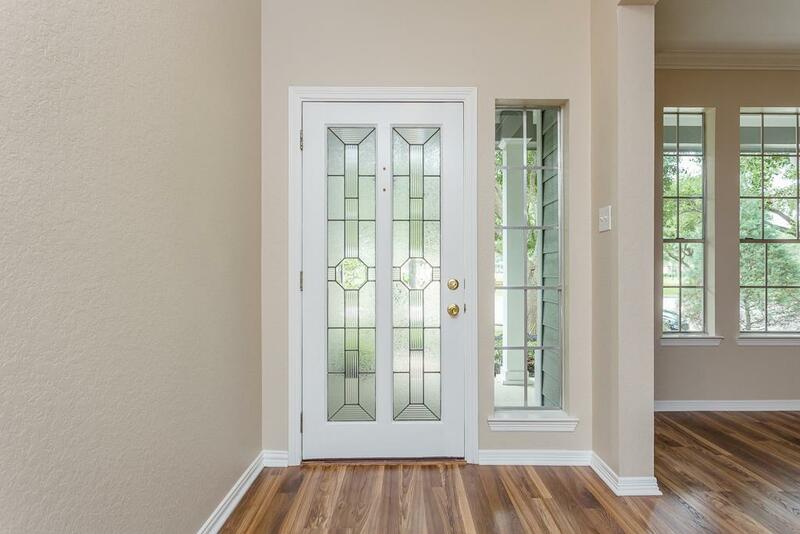 Front entry with elegant glass door with side light window. Covered front porch to the left. New hardware on the door. Front entry hall with formal dining room located to the right. 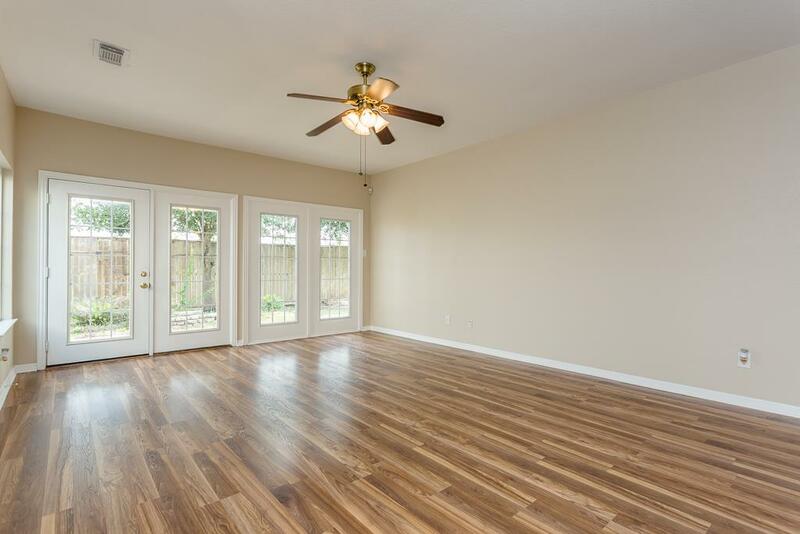 Home has all new interior paint including walls & ceilings & A/C vents! 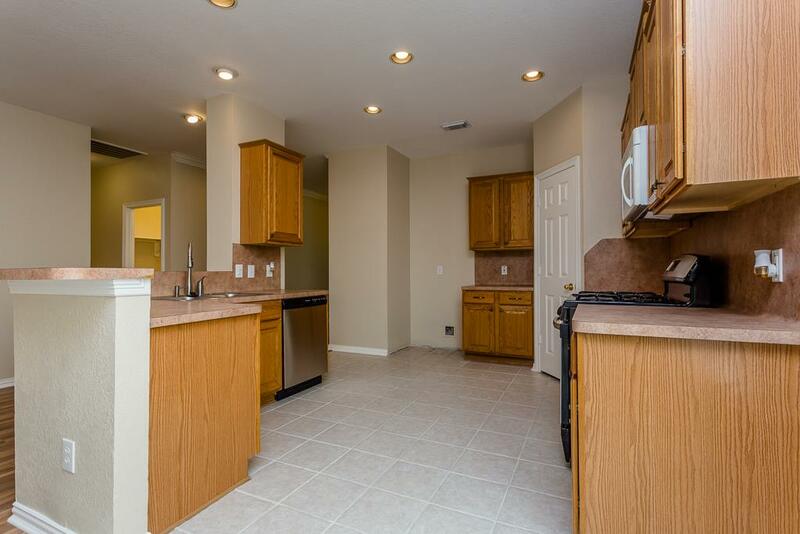 Spacious and bright kitchen with tons of cabinet and counter space. 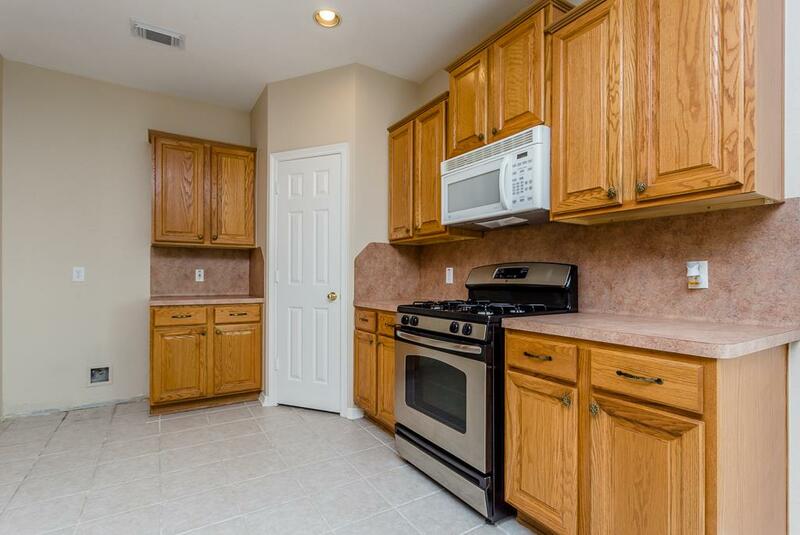 Large corner pantry! Gas cooking! Kitchen view with breakfast room in the distance. 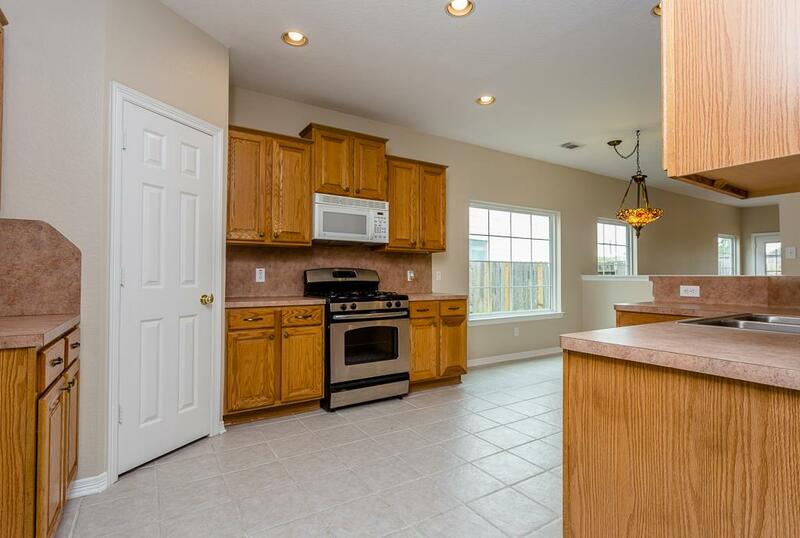 Note the tile floors in both rooms. View of the kitchen looking into breakfast room with living room in the distance. Note the "L" shaped counter space and sink area. 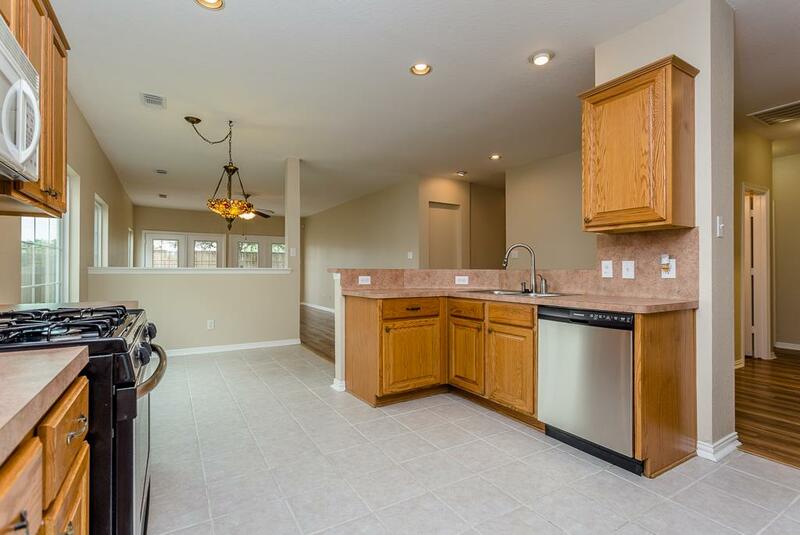 New disposal & new dishwasher conveniently located by sink. View of kitchen as seen from the breakfast room. So open and bright! 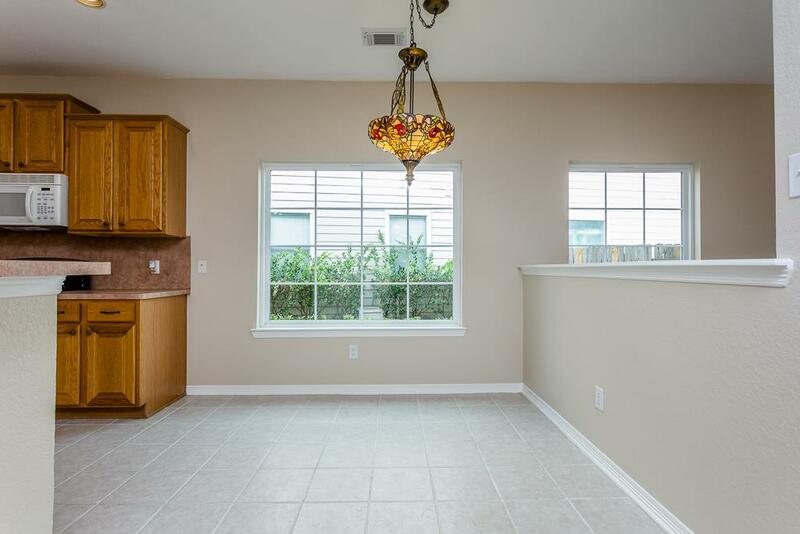 Spacious breakfast room adjacent to the kitchen. Pretty Tiffany type light fixture! 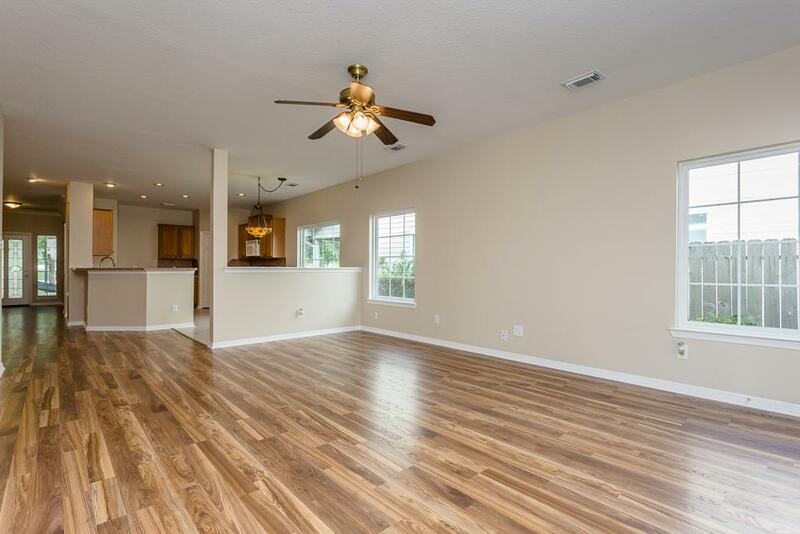 Amazing living room overlooking covered back yard patio! 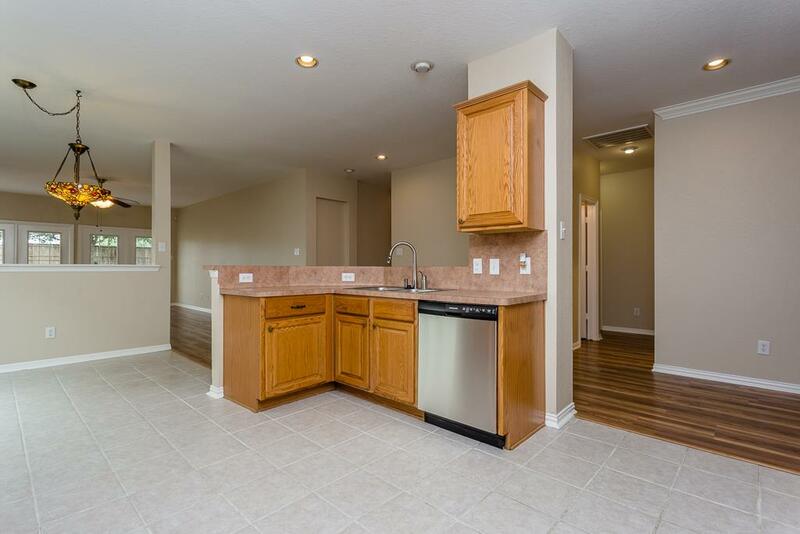 Opens to kitchen & breakfast so great for entertaining! 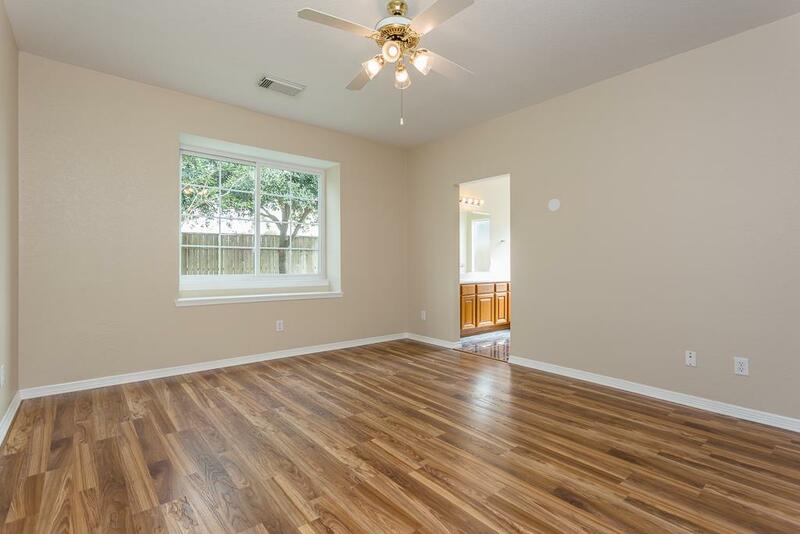 Note the beautiful new laminate wood floors. 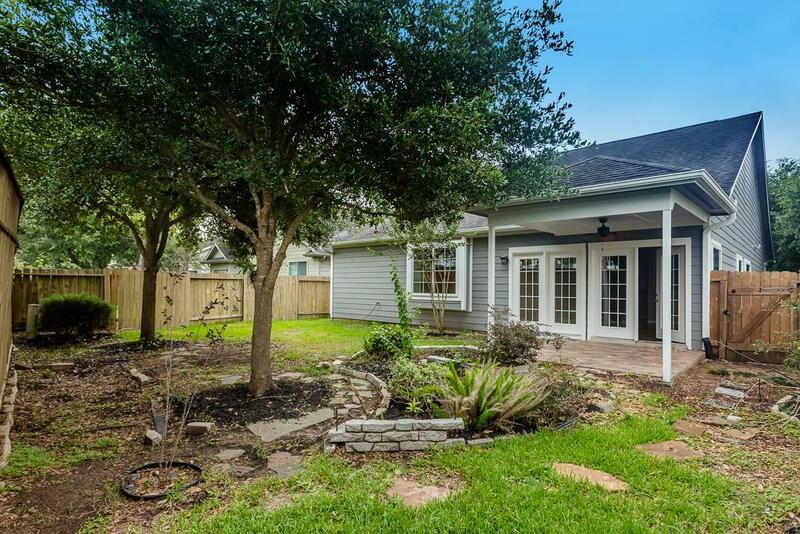 French doors open to back yard! Large living room looking back into the breakfast and kitchen. 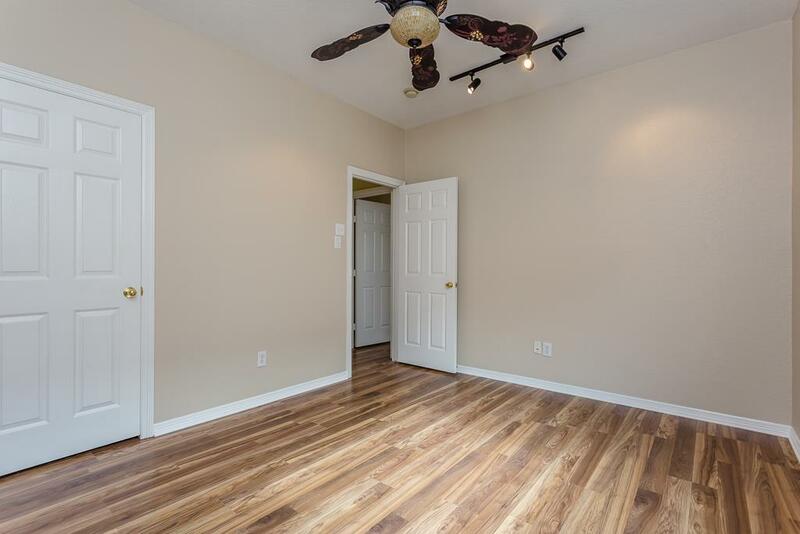 Cooling ceiling fan w/light fixture! Formal dining room located off the entry hall by the front door. Pretty crown molding! 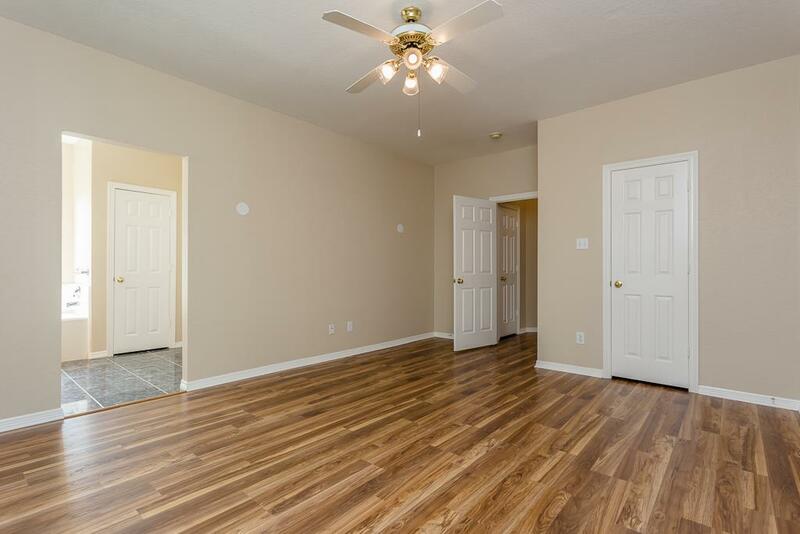 Note the beautiful new laminate wood floors in this room and also the entry hall. 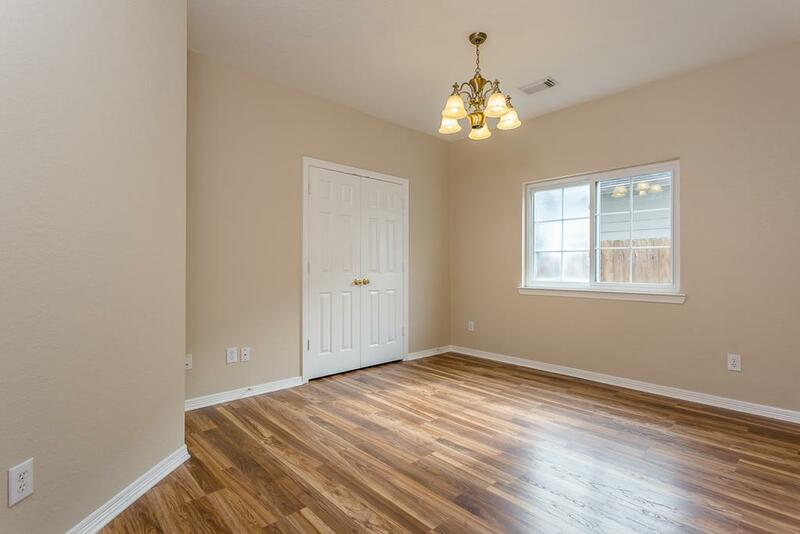 This formal dining room could also work as a den, study or media type room! 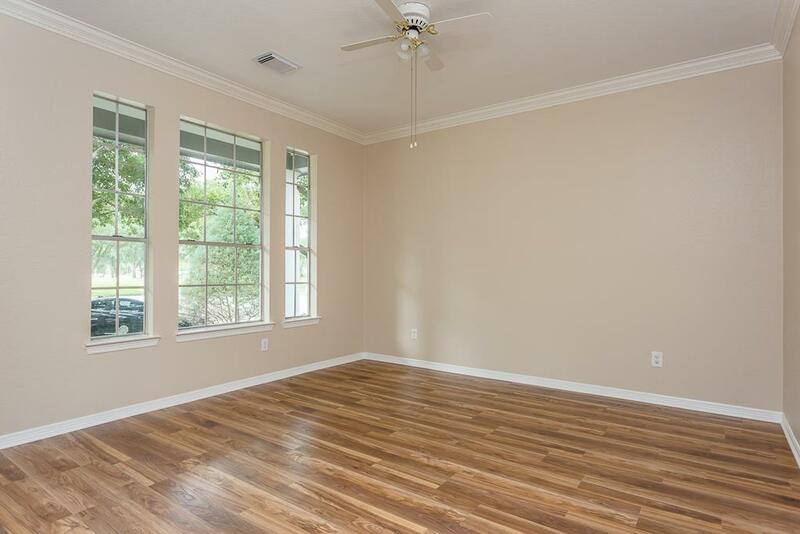 Inviting and spacious master bedroom. 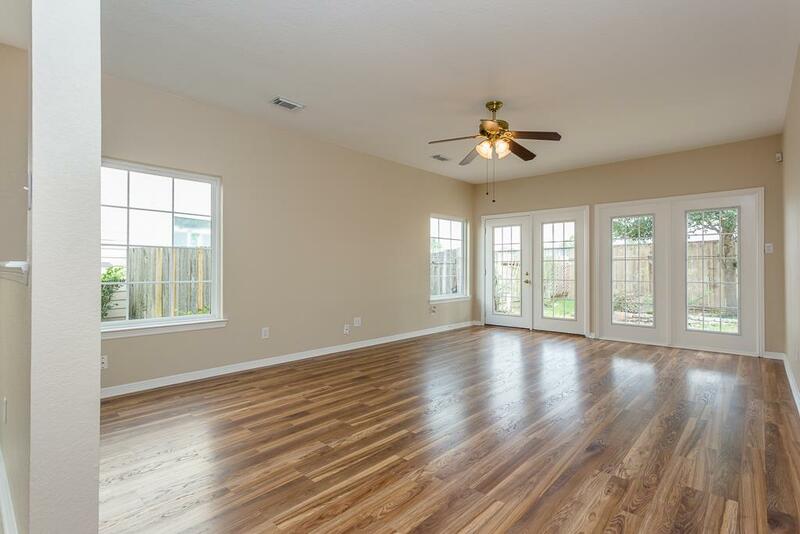 Note the pretty new laminate wood floors! Another master bedroom view. One of 2 master closets shown. 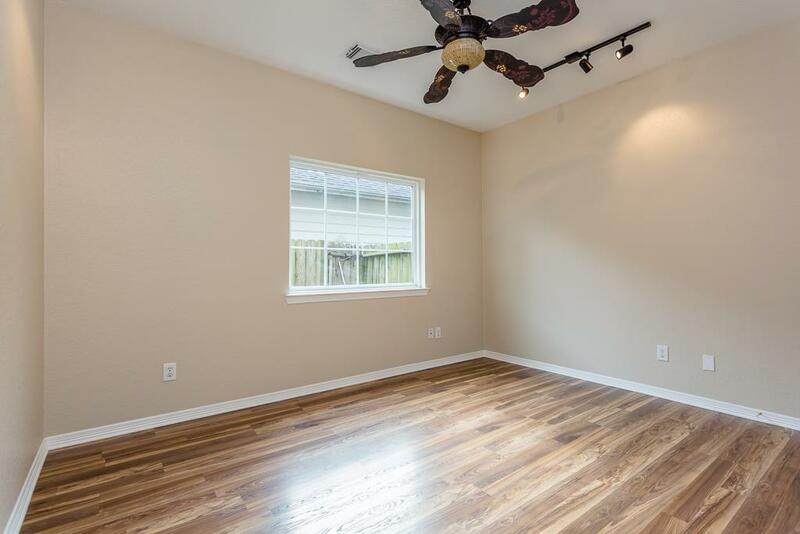 Ceiling fan w/light fixture. 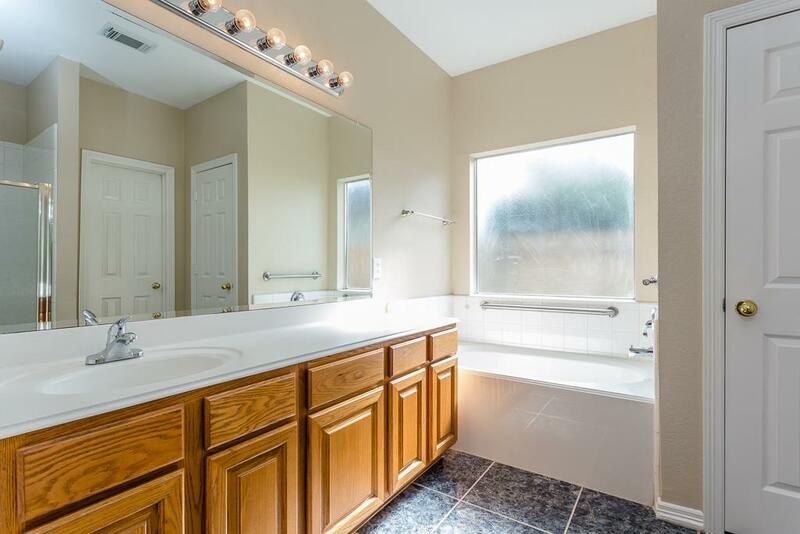 Gleaming and bright master bathroom. 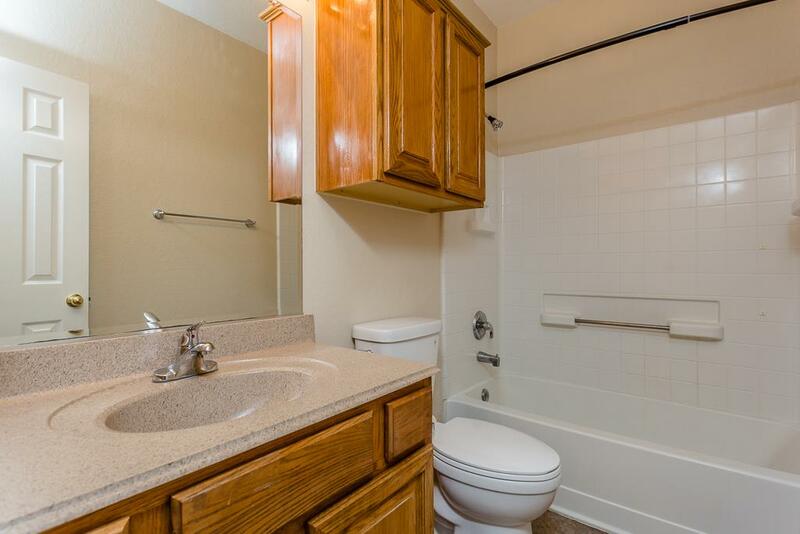 Comes with separate tub and shower! View of master bath looking back into the master bedroom. New light fixtures in both master closets! View of master bath shower and door to the second spacious master closet. New shower pan & door! Bedroom #2! 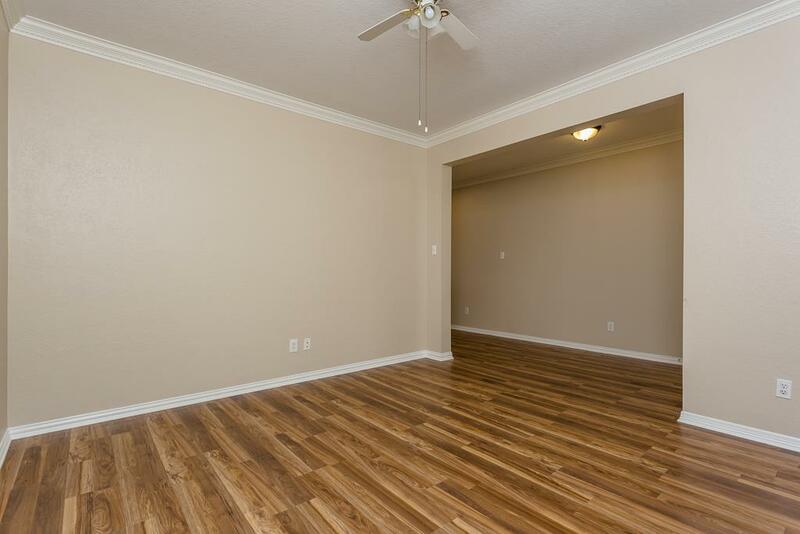 This room also has shiny new laminate wood floors. Close to hall bath! Bedroom #2 with closet on the left and note the unique ceiling fan w/light plus additional track lighting. Bedroom #3! 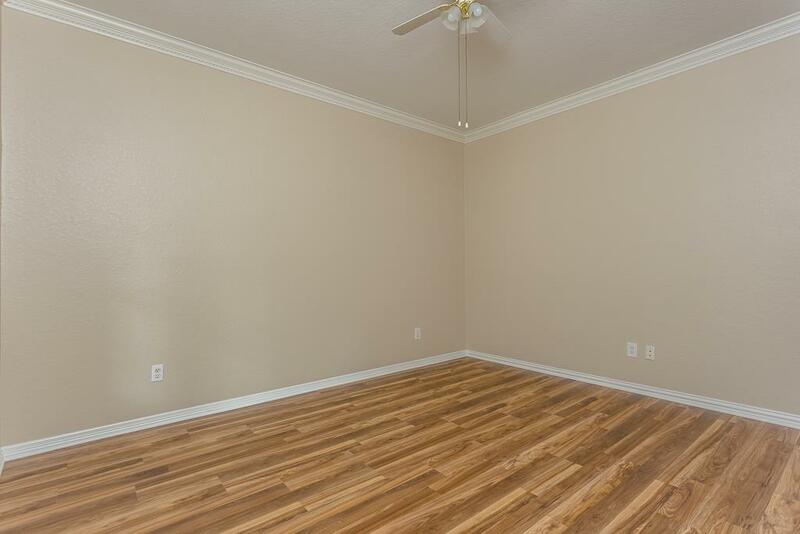 This bedroom also has shiny new laminate wood floors. 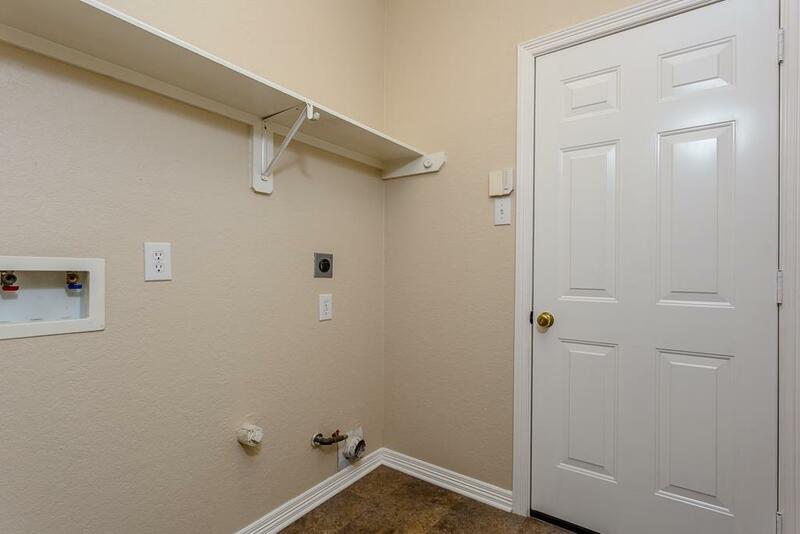 Closet on the left. Bedroom #3 with pretty light fixture. Spacious room with close access to hall bath. 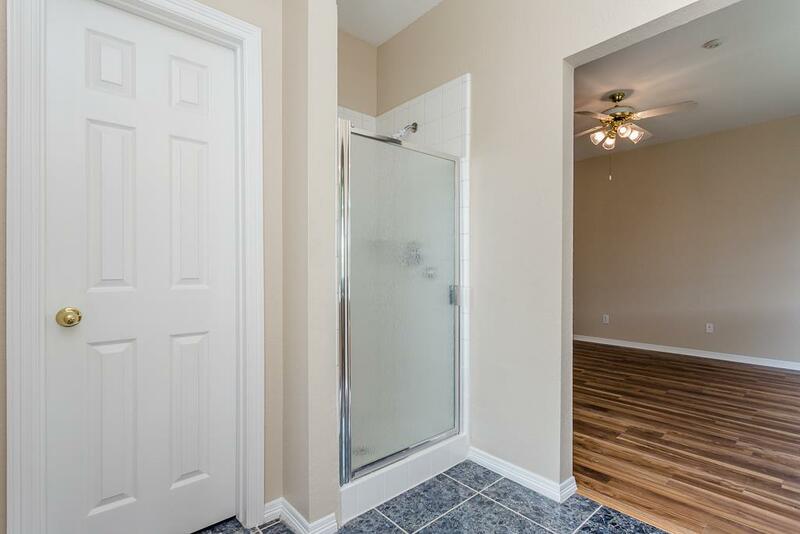 Hall bath w/tub & shower combination. 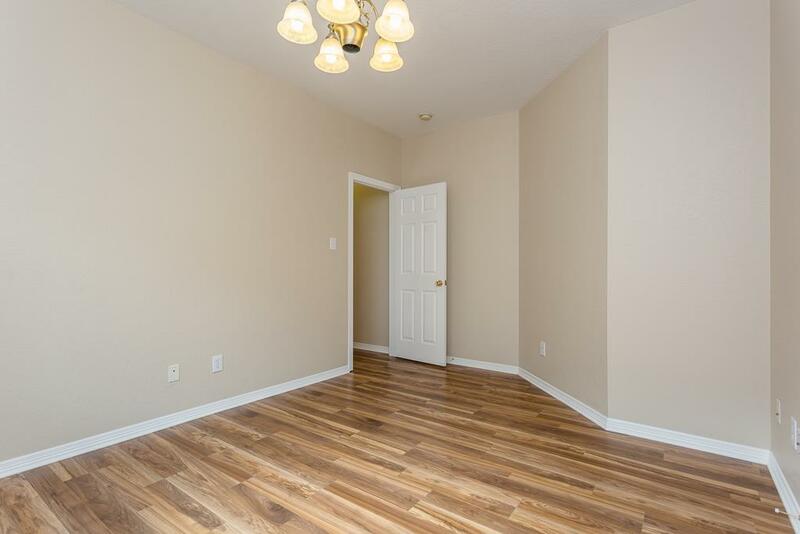 Next to 2nd and 3rd bedrooms & convenient for guests! 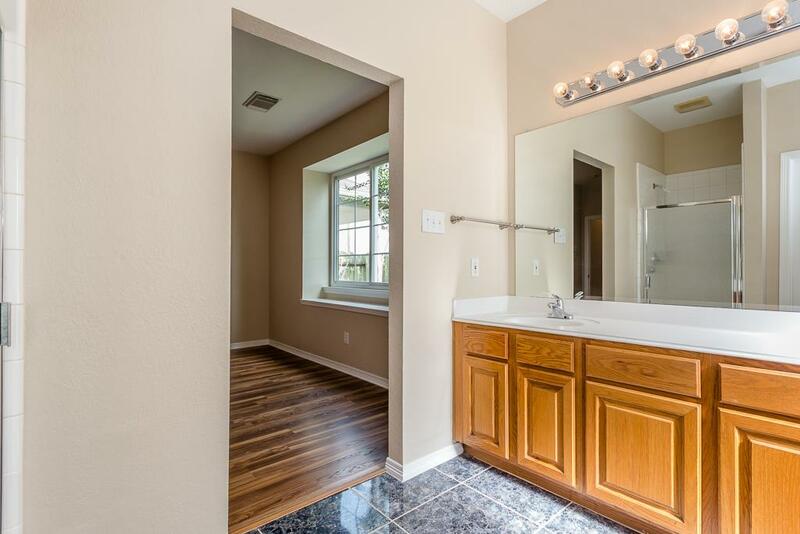 New flooring, toilet & faucet! Utility room w/electric & gas hook ups for the dryer plus new light fixture & flooring. Access to the garage. Note extra storage racks in the garage! Back yard view looking back towards the house and the covered patio! New hardware on back door. 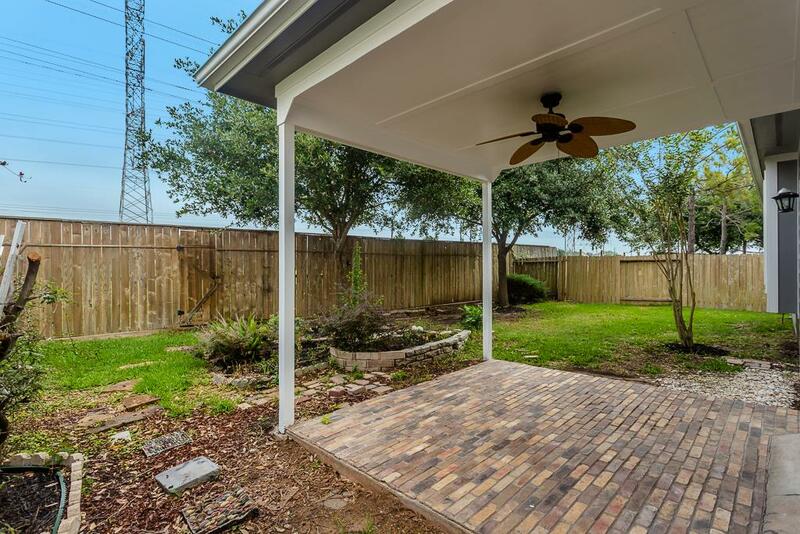 Pretty covered brick patio with ceiling fan. Perfect to relax and to grill out with family and friends! 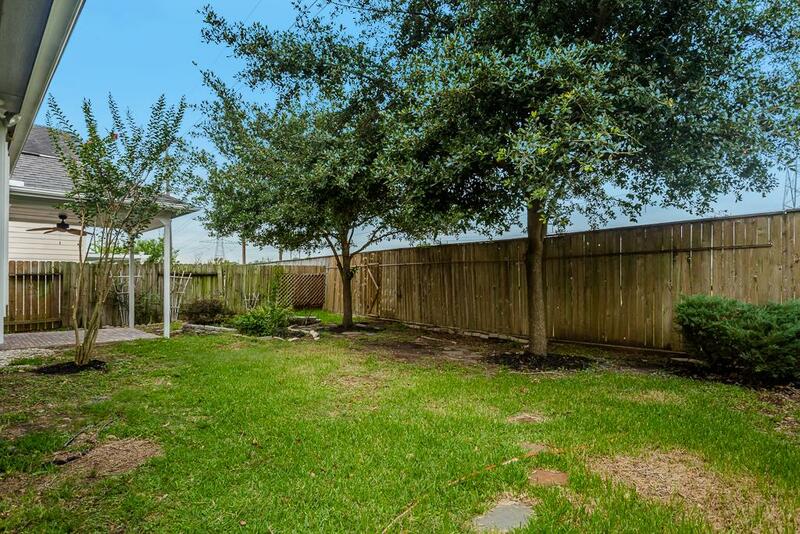 Another view of the back yard with no back neighbors. Gate access to green belt behind the home. 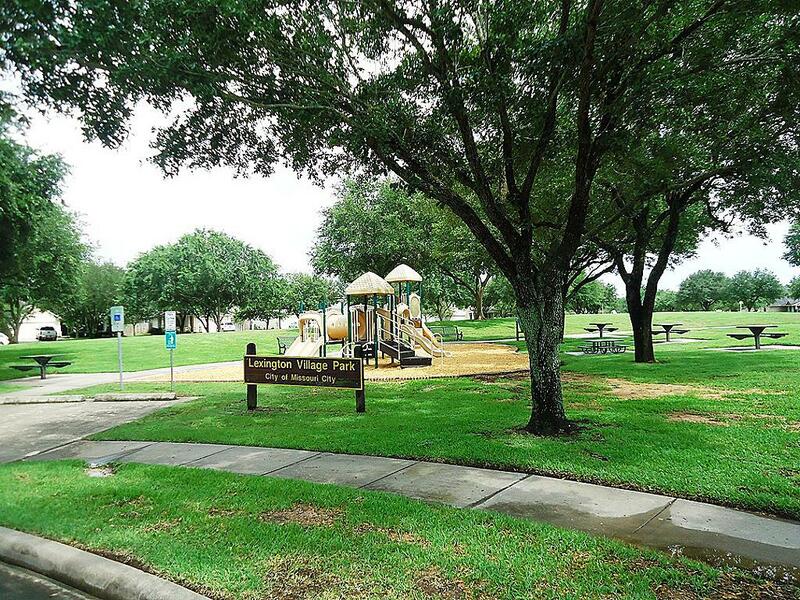 Park located across the street from this home. So close for the kids to play or to have a picnic!